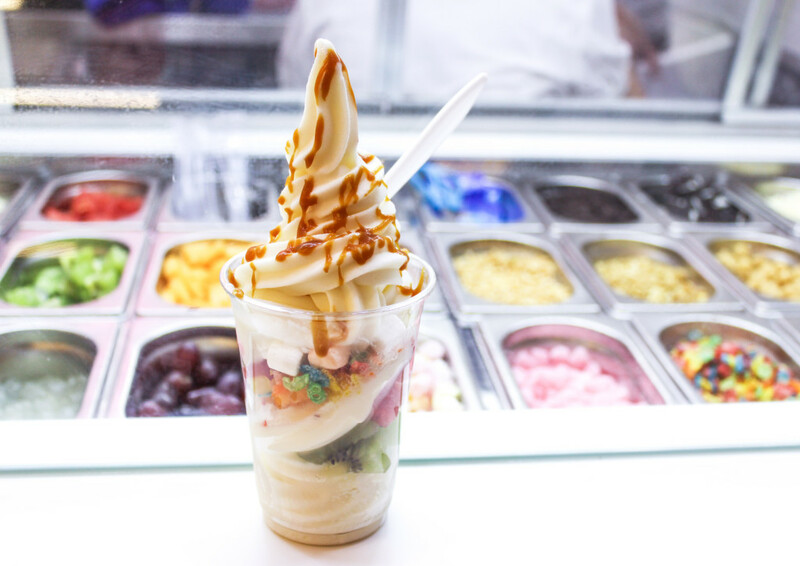 If you’re so over queuing for Llao Llao, here are some other places to get froyo that is just as good (if not better). 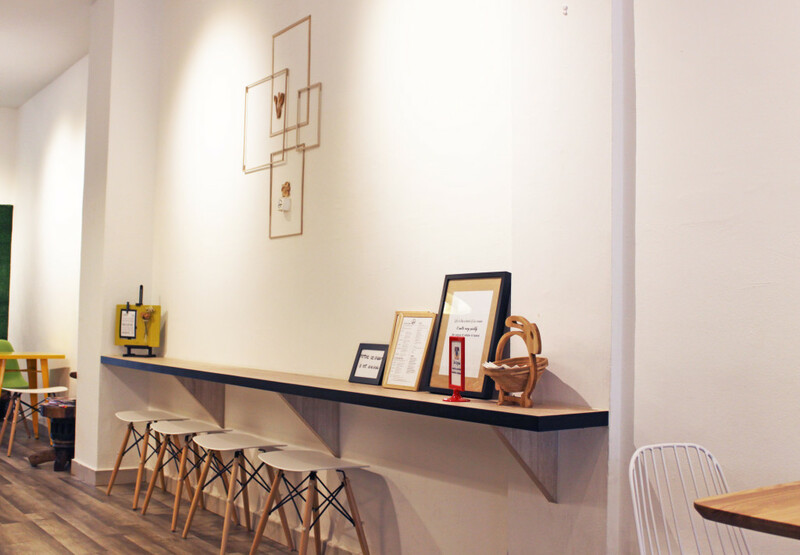 Address: 131 Rangoon Road, Singapore 218409,Tel: 91797266, Opening Hours: 12pm – 9pm (Mon, Wed, Thurs) 12pm – 10pm (Fri to Sun), Closed on Tuesdays. 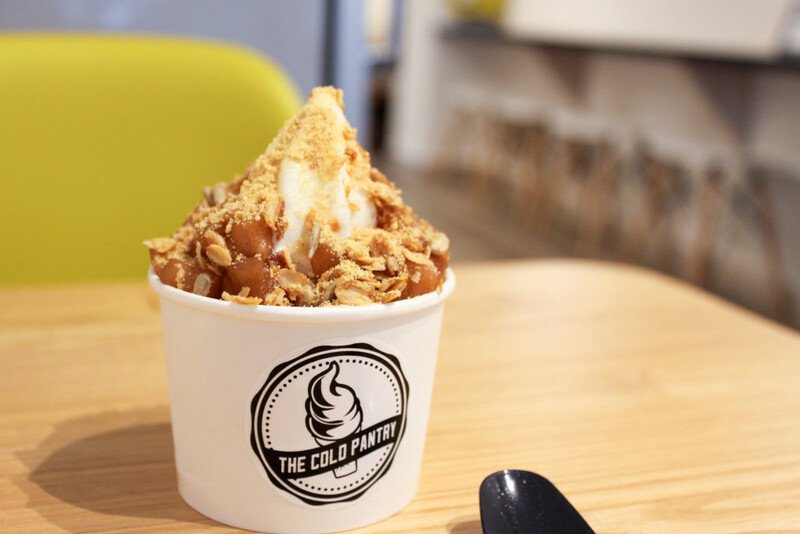 Located near Farrer Park MRT, The Cold Pantry is a small and humble store that specialises in soft serve ice cream and frozen yogurt. 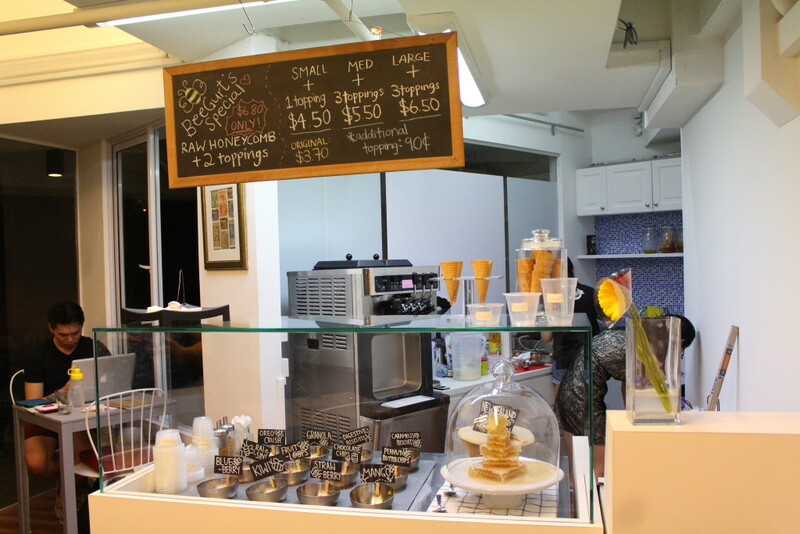 The place keeps things simple with only 4 types of items on the menu – ice cream, froyo, waffles and brownies. Although the menu is limited, The Cold Pantry executes each item well. Their flavour combinations are carefully thought out, and the unique toppings are a nice change. 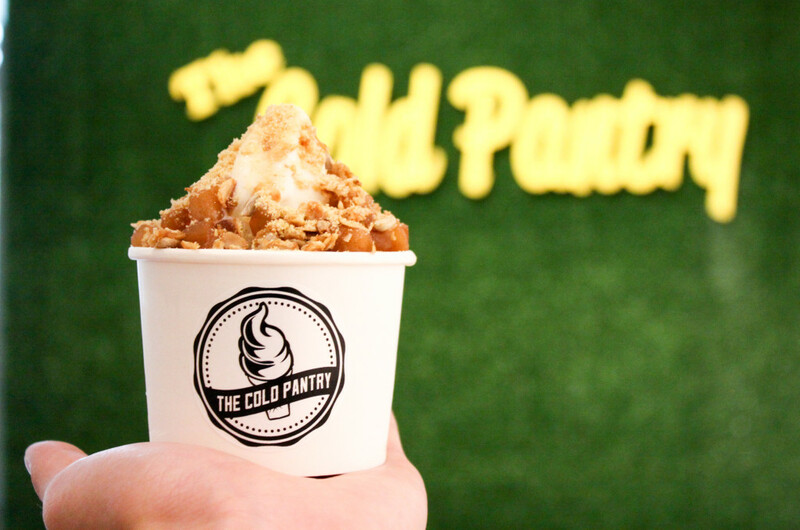 We wanted to try the signature Thai Milk Tea froyo, but apparently it has been converted into an ice cream flavour – so we tried the Apple Crumble-inspired Golden Apple frozen yogurt instead. The yogurt was not too sweet, which was nice since it paired well with the flavourful cinnamon apple cubes. The granola and digestive biscuits also added extra texture, and helped to tone down the richness of the apple and yogurt. The Cold Pantry is also rather generous with their toppings, so $6 a cup is not too bad. 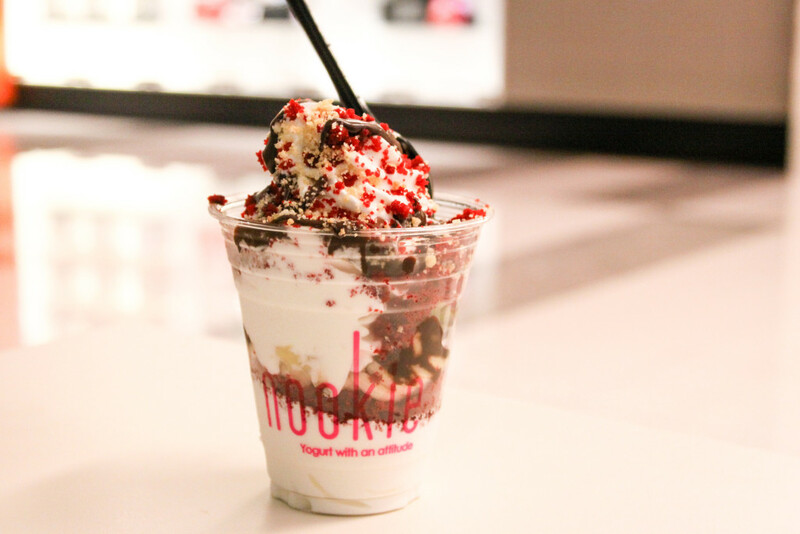 Nookie Yogurt offers a unique take on the froyo experience. 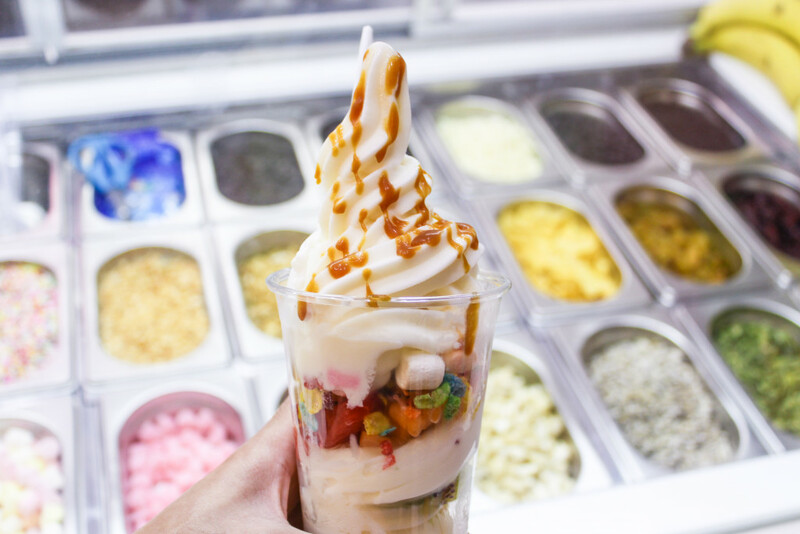 Instead of the usual pick and mix of toppings, Nookie Yogurt offers creations based on popular desserts like Mango Sticky Rice and Red Velvet Cake. The flavour of the yogurt is quite balanced – not too sour or sweet, which is always a good thing. Texture-wise, the yogurt is extremely smooth and delicate and melts like a dream in your mouth. We got the Red Velvet Parfait, which had crunchy red velvet crumble drizzled with a rich (and slightly bitter) chocolate sauce. They were quite generous with the toppings, so this was a rather indulgent treat. The only gripe I have about Nookie Yogurt is the lack of seating, but I suppose you can always enjoy your froyo on the go. 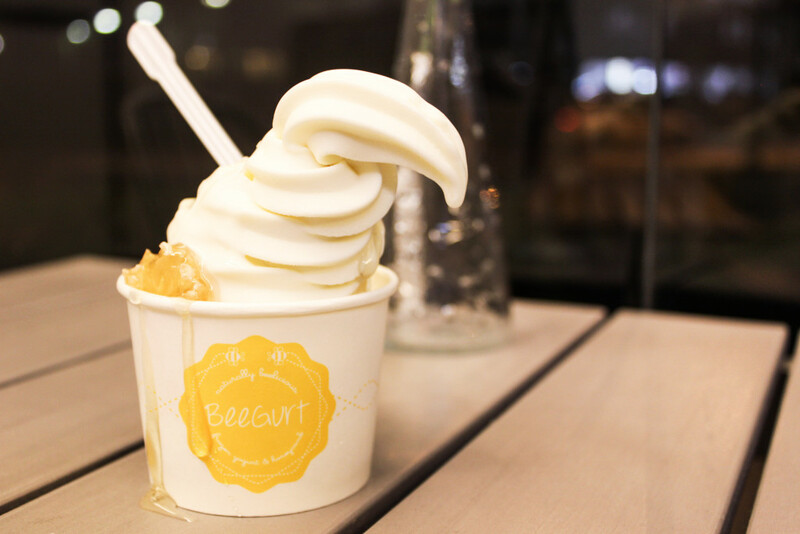 As its name implies, BeeGurt is known for its frozen yogurt with raw honeycomb, drizzled with lots of honey. 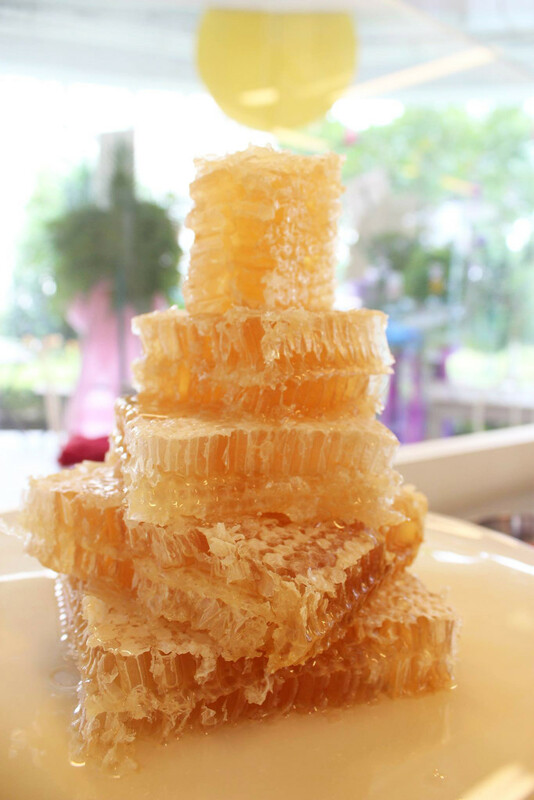 Although the honeycomb and honey are rather sweet, the delicate flavour of the yogurt itself balances things out. 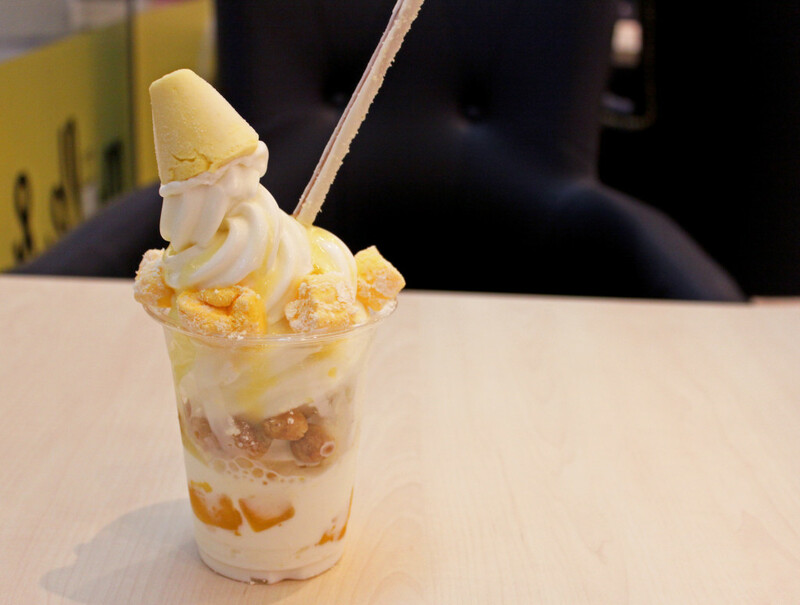 Honeycomb with regular soft serve can be a bit too sweet, but it goes great with the tangy frozen yogurt. BeeGurt’s menu may be relatively simple and unassuming, but its signature product is pretty solid. Especially on a sweltering hot day. And FYI – the drizzled honey tends to sink to the bottom of the cup, so start eating from the base (instead of the top) to get to the good stuff first. 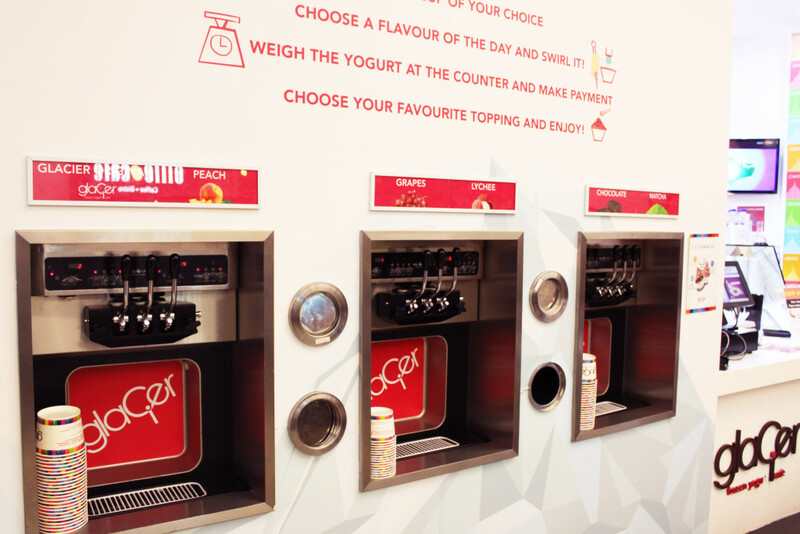 Glacier Yogurt is the most similar to Llao Llao in terms of concept, but they do have a larger variety of froyo flavours. While the yogurt itself was rather sweet, the texture was firm and solid enough. 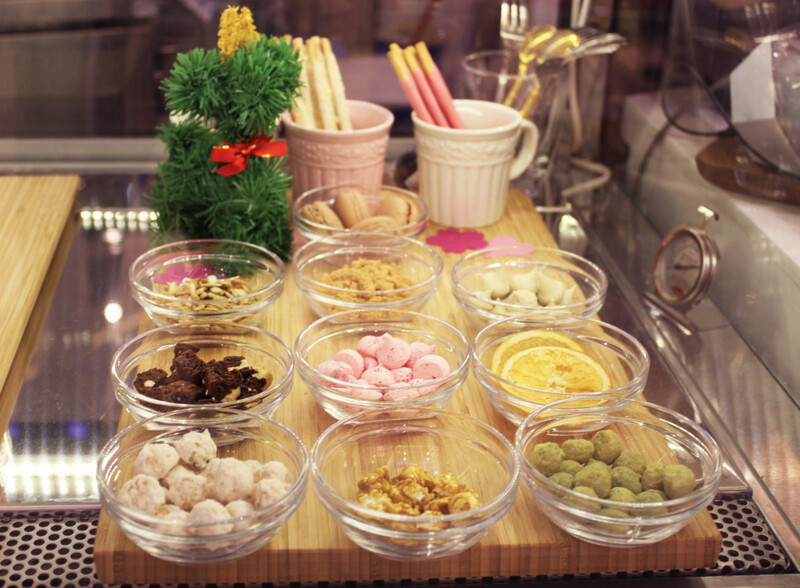 They also have mixed flavours, like Grape and Lychee or Matcha and Chocolate. Flavours vary according to their outlets though, so you can either call ahead to ask or just try your luck. 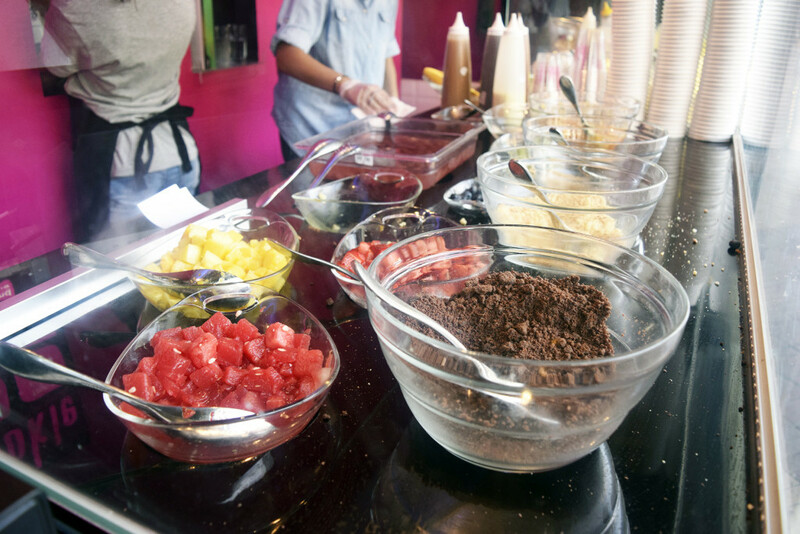 Toppings were also generously provided, and there was a large variety to choose from. They also have various fruit parfaits to choose from, so if you don’t want to stand in line for Llao Llao, try this place instead. Milk and Honey is more for the gourmands out there, with sophisticated (read: atas) toppings like meringue, macarons, sponge cake and more in their signature yogurt parfaits. 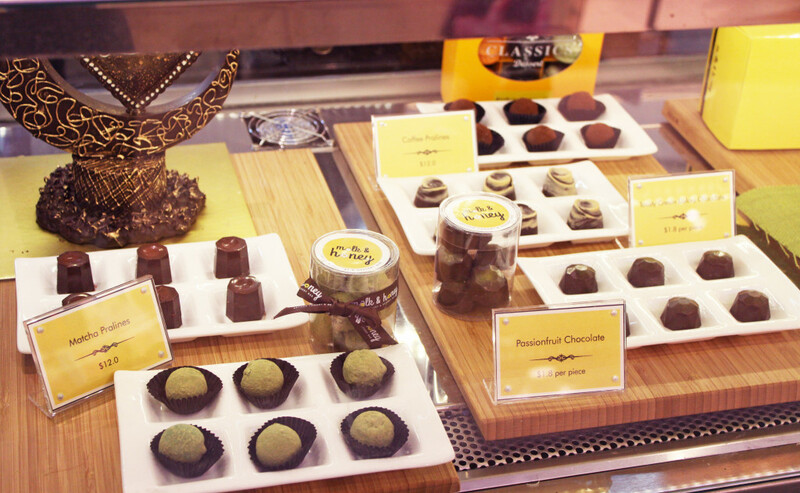 The place also offers a range of other delectable desserts, such as chocolates and cakes. The frozen yogurt here is an interesting experience – the toppings are a far cry from your usual rainbow sprinkles, and the frozen yogurt parfaits make for an Instagram-worthy photo. The toppings are piled on generously, but can be a bit of a handful to eat. Also, although the different toppings provide interesting texture to the parfait, there was not much variety in flavour profiles. It would have been nice if they varied the types of toppings to create more of a wow factor. Overall, Milk and Honey is a good place to go to if you’re having a bad day and just really need a perk-me-up. 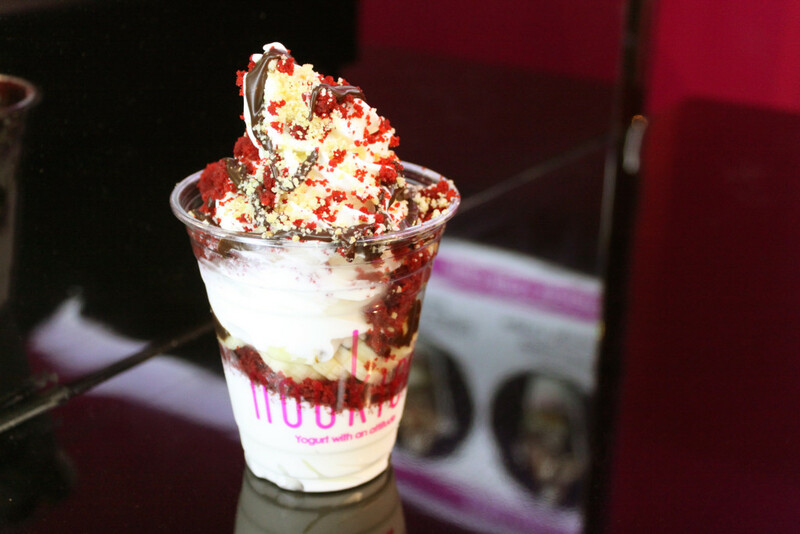 Just remember to order a cup of tea on the side to balance out the richness of the frozen yogurt parfaits here. Not sure why all the “too”‘s have to be in italics but can’t wait to try out this list!